Alex (John) Birch, Private Pilot Flight Test, Langley Flying School. Alex (John) Birch receives congratulations from Pilot Examiner and Transport Canada Inspector Peter Cox, after the successful completion of Alex's Private Pilot Flight Test on May 20, 2008. 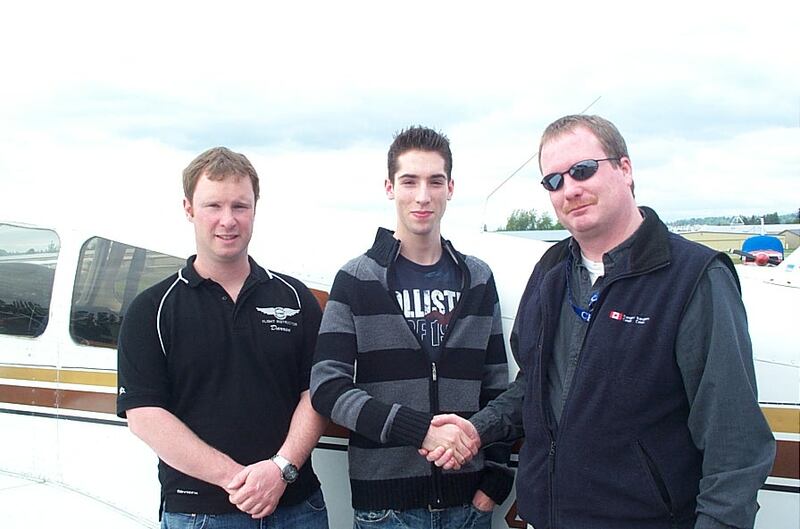 Congratulations also to Alex's Flight Instructor, Darren Ferguson (above, left) .